The Community Policing/Services unit of the department was established as a full-time support unit of the Marlboro Township Police Department in 1996. 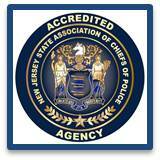 We were one of the first departments in Monmouth County to have a full time Crime Prevention Officer in 1976. Proactive programs have always been the philosophy of the Police Department. Our mission is to provide safety and prevention programs to our residents, school children, seniors and business owners in Marlboro Township and to continue to keep our community a safe and secure place to live and work. We believe crime prevention and information is the best deterrent to crime. The Marlboro Township Police department along with 180 Turning Lives Around have formed a team of highly trained volunteers to address issues of domestic violence within the community. The (DVRT) was organized to meet with victims of domestic violence immediately after a call for assistance to the police department. The group of volunteer citizens from the community are specially trained in several areas of domestic violence and respond to police headquarters to provide comfort and advocacy to victims of violence in the home. 180 Domestic Violence Hotline 732-264-4111 or 1-888-843-9262. The TRIAD program in Marlboro Township has joined hundreds of TRIAD programs throughout the United States in addressing crime prevention issues that concern the senior citizen population in our community. The TRIAD partnerships of Chiefs of Police, Sheriffs and senior citizen organizations has been established to increase efficiency and effort within the law enforcement community. Hundreds of senior-related programs are currently in operation designed to educate senior citizens and to be educated by senior citizens in areas that directly affect the quality of life of Marlboro’s seniors. This partnership is presently working hand in hand wit the Marlboro Township Senior Advisory Committee. The Police Department is in a partnership with Monmouth County Sheriffs Office to participate in the Project Lifesaver Program. This program is designed for seniors with Alzheimer’s and other dementia related disorders. It is also used for children with Autism, Down’s syndrome, Prader-Willi Syndrome and people with brain injuries and other mental conditions that would cause them to wander off. Project Lifesaver consists of a bracelet with a radio-tracking device that allows a police officer to locate the wearer in the event that the person becomes lost. All of these programs are provided at no cost to the residents and business owners of the community.